Gun Control – Len Bilén's blog, a blog about faith, politics and the environment. Verse 89 of the Obama impeachment song. 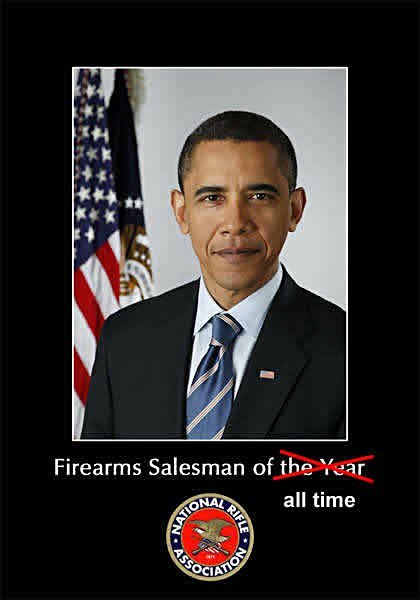 Top gun salesman of the year. Obama has a reliable record of failures. When he advocates a certain policy and resorts to threats, the opposite occurs. The Obama administration was going all out to see that Israeli Prime Minister Benjamin Netanyahu was defeated in the 2015 Israeli election, but the campaign of veiled threats and anonymous leaks backfired: Instead of sinking in the polls, Netanyahu rose steadily, and after someone from Obama’s “inner circle” threatened that if Israel reelected Netanyahy they would “pay a price”, Netanyahu won easily. President Obama visited Britain in advance of the U.K. EU referendum and strongly advocated for Britain to stay in the EU, warning that if they left they would be at “the back of the queue” for a U.S. trade deal. According to polls taken just before and just after Obama’s visit, that recommendation alone lead to a 3 to 5 point uptick in favor of Brexit.advocated for Britain to stay in the EU, warning that if they left they would be at “the back of the queue” for a U.S. trade deal. According to polls taken just before and just after Obama’s visit, that recommendation alone lead to a 3 to 5 point uptick in favor of Brexit. At the time of the election of Obama the stock hovered around 2. It is now around 25, a more than tenfold increase! so terrorists go free and clear. I am their top salesman of the year. Posted on June 26, 2016 Categories campaign, Obama, politics, regulations, songTags Brexit, Gun Control, Israel, Netanyahu, Obama, politics, songLeave a comment on Verse 89 of the Obama impeachment song. Top gun salesman of the year. Verse 87 of the Obama Impeachment song: Radical Islam does not exist, ban guns instead. It was surreal to watch a commander-in-chief stand in front of the American people, just two days after the most deadly terror attack on U.S. soil since 9/11, and explain why he did not think it was important to tell the truth about the individuals and the ideology responsible. It is difficult to imagine how the President could more clearly have demonstrated his wilful dishonesty about the threats we face. 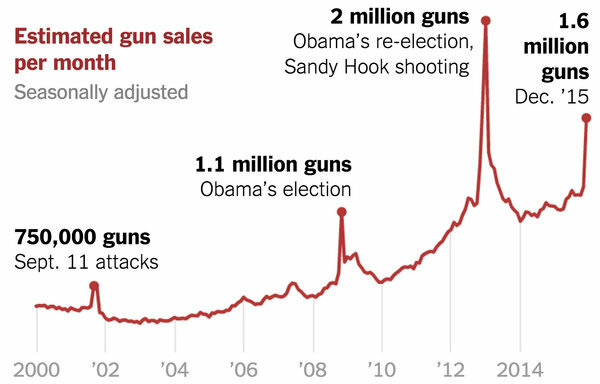 After this the President began to show emotion and seemed really angry – at Republicans and their reluctance to ban guns. He devoted the rest of the speech venting his venom against anybody standing in his way, rather than consoling and supporting the anxious and grieving. Islam is peaceful, can’t you see. Ban all legal guns, that’s my decree. Posted on June 18, 2016 Categories eligibility, Obama, Politics, songTags Gun Control, impeachment, Islam, Obama, Radical Islam, songLeave a comment on Verse 87 of the Obama Impeachment song: Radical Islam does not exist, ban guns instead. Verse 77 of the Obama Impeachment song. Obama wept. America is forced to weep over Obama’s releasing violent criminals into our communities – like the 121 illegal aliens who committed murders after they were released from custody by the Obama administration instead of being deported. And that doesn’t take into account the others we don’t know about. Gun control: It’s true, I wept. I proved myself to be inept. Not a promise that I kept. In crises I golfed or overslept! Posted on January 5, 2016 January 6, 2016 Categories Obama, politics, regulations, Sarah PalinTags emotion, Gun Control, Obama, politics, regulation, Sarah Palin, songLeave a comment on Verse 77 of the Obama Impeachment song. Obama wept. Verse 71 of the Obama Impeachment song. Gun control, no more coal, everyone on the dole. “The one thing we do know is that we have a pattern now of mass shootings in this country that has no parallel anywhere else in the world, and there’s some steps we could take, not to eliminate every one of these mass shootings, but to improve the odds that they don’t happen as frequently.”— President Obama, on CBS Evening News, Dec. 2, 2015. Is he right? 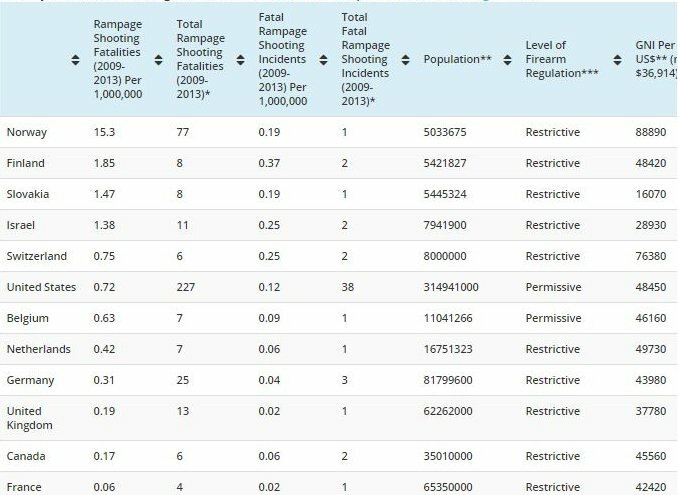 Here are statistics from 12 developed countries, 10 of which have much more restrictive gun laws than the U.S. United States is in the middle of the list. and no more of that old King Coal. let everyone else be on the dole. Posted on December 3, 2015 December 3, 2015 Categories eligibility, Obama, Politics, songTags electric power, Gun Control, impeachment, Obama, politics, songLeave a comment on Verse 71 of the Obama Impeachment song. Gun control, no more coal, everyone on the dole. Verse 63 of the Obama impeachment song: Obama threatens gun confiscation though executive order. (As if sung by Obama to the tune of “Please release me, let me go”). You Christians, all you can do is pray. Posted on October 9, 2015 Categories eligibility, Obama, Politics, songTags Christianity, Constitution, Gun Control, impeachment, Obama, politics, song1 Comment on Verse 63 of the Obama impeachment song: Obama threatens gun confiscation though executive order. Obama Constrained by the Constitution. Thank God!! A Limerick. Obama Constrained by the Constitution. Thank God!! That Obama still knows, small relief. He once taught, as adjunct. Now it is: “I’m Commander In Chief”. President Obama made a few remarks yesterday in Colorado as he celebrated the fact Colorado had passed some of the strictest gun control legislation in America, severely affecting Second Amendment rights. But why Obama’s speech got attention was because he complained about being constrained by the Constitution. We can’t do background checks because the government’s gonna come take my guns away. The government’s us. These officials are elected by you. They are elected by you. I am elected by you. I am constrained, as they are constrained, by a system that our Founders put in place. Thank God for the Constitution!! Hitler was first appointed, then elected by the people, but the Weimar Republic did not have proper safe-guards, and so he was able to reshape the way the Republic functioned and made himself Dictator. Posted on April 8, 2014 April 8, 2014 Categories limerick, Obama, PoliticsTags Constitution, Gun Control, Limericks, Obama, politicsLeave a comment on Obama Constrained by the Constitution. Thank God!! A Limerick.